Nothing quite like new business cards to make you feel like a real grown up! I am pretty stoked on these guys and wanted to share the wealth with all of you. 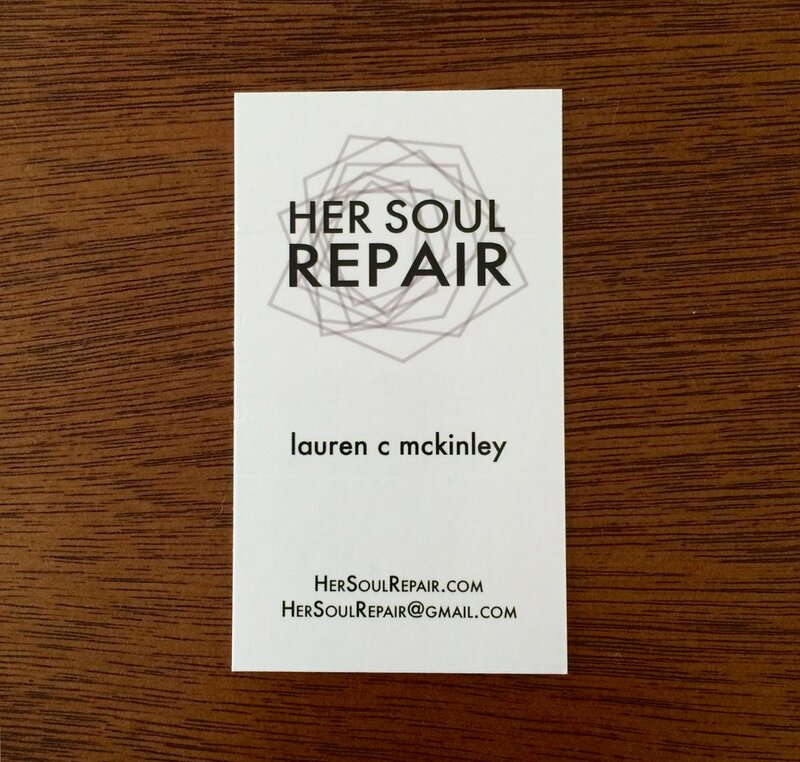 If you have been blessed by Her Soul Repair and want to spread the word, please let me know! I will happily send you some of these to pass out at your divorce recovery support group, church, retreat or conference center, women's breakfast, bible study, or favorite local bar. We are all in this together!